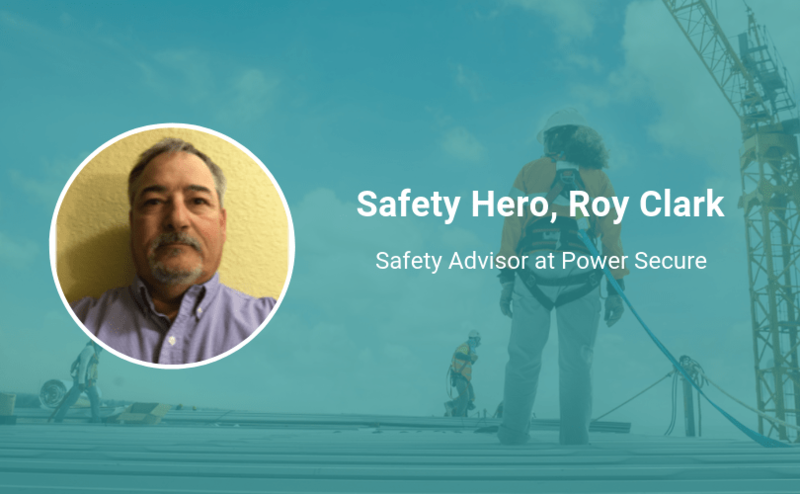 Roy Clark, Safety Advisor at PowerSecure, knows that when you work for a company that truly values safety and sees safety as its top priority, that’s something to be grateful for. “The company I am currently employed with truly gets that safety is first—period,” he tells us. PowerSecure provides energy solutions to electric utilities and their industrial, institutional, and commercial customers. They are a pioneer in developing distributed power systems and the integration of distributed energy resources in a sophisticated microgrid. Keep reading to see the major lesson Roy learned from his first job in safety and what—after working across many cultures—he says is so important to be successful in creating a more positive safety culture. I started my safety career in 2002 at Mayport Naval Station in Jacksonville, Florida as a Safety Specialist after a health issue prevented me from continuing with my previous career. What did you learn from that first role? I learned that people are generally good and honest and that just because they may have broken a safety rule it doesn’t make them a bad person. In fact, it may reflect on management not providing the proper training the employee needed to perform his task safely. Respect. My belief is that if you show respect, in return you will receive it. I have worked with many different cultures in many different states but what I have found that binds us together is respect. It also helps to guide your workers to a more positive safety culture. Try not to be over the top with criticism when discussing someone’s job safety performance. Be firm, but also be respectful and point out positive observations as well as negative ones. I have seen major companies talk and talk that safety is always first before profit or quality but in reality some think safety will cost a company money, where production earns them a profit. The company I am currently employed with truly gets that safety is first—period.